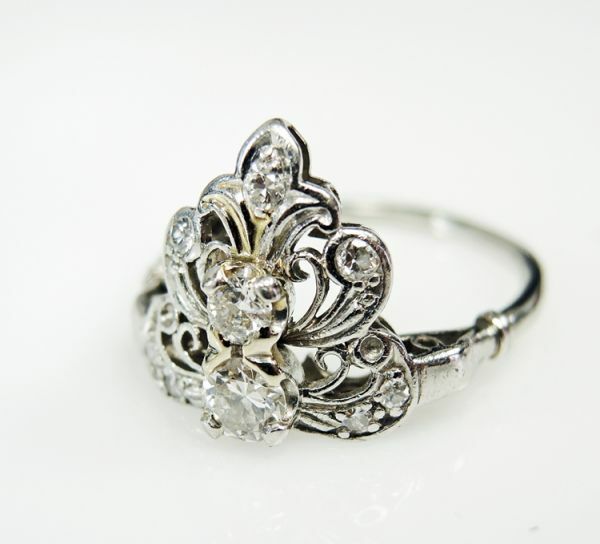 A beautiful and interestingly designed Edwardian "Fleur de Lis" platinum ring with 1 old European cut diamond, est. 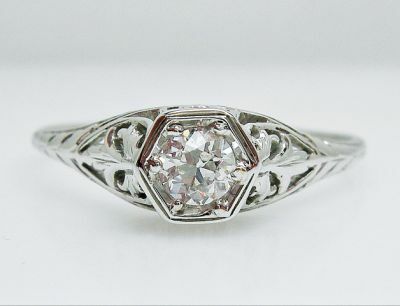 0.23ct (clarity:VS1 & H-I colour); 1 round brilliant cut diamond, est. 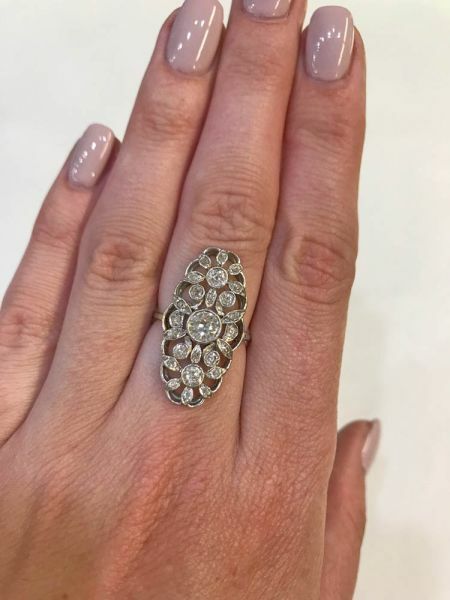 0.09ct (clarity:VS2 & H-I colour) and 7 single and French cut diamonds, est. 0.24ct (clarity:VS-SI & H-I colour).